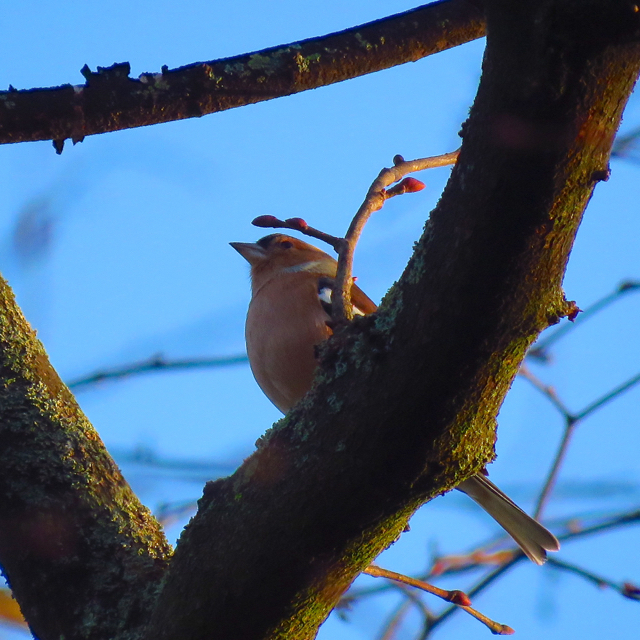 The first chaffinch sung in the park today. They often start tentatively, but this one sung three or four times before starting foraging on the tree. Spring must be in the air! A lovely picture and a welcome foretaste of spring. I heard one in Kensington Gardens ten days ago, but we're a long way south of you.